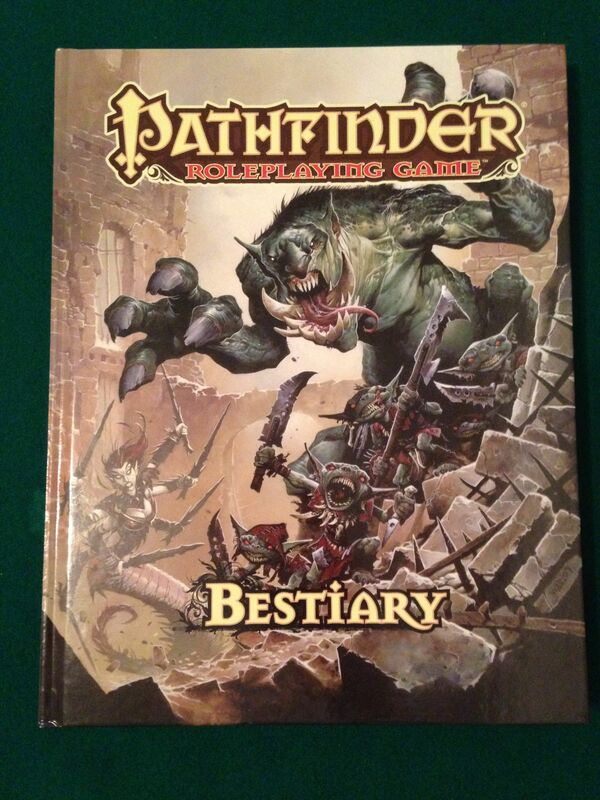 I just got hold of a copy of the Pathfinder Bestiary, which seems to be pretty hard to get in the UK right now. I now have everything I need should I actually want to run a game of Pathfinder. Along with the Core Rulebook and the Rise of the Runelords Adventure Path, the Bestiary makes up what I consider the ‘base set’. ‘Bestiary’ means a Compendium of Beasts, like in the middle ages. It is the Pathfinder version of the D&D Monster Manual. It is a lovely hardback encyclopaedia with over 350 monsters, each with its own colour illustration. It has all the old classics from my 1978 AD&D Monster Manual, but with lots of extra background info, and appendices with ideas on how to use them all. 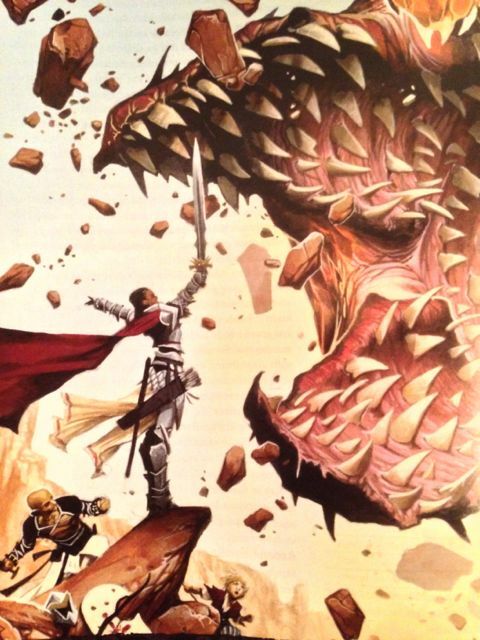 Posted in Blog Posts and tagged D&D, Pathfinder, rpg on March 23, 2014 by Tim. Seelah the Paladin, one of the ‘Iconic’ characters from the Pathfinder universe. I used to play Advanced Dungeons & Dragons in 1978, now I have Pathfinder which came out in 2009. There are 30 years between these rulesets. It is still pretty much the same game, but I love the ‘Iconic’ characters they created for the Pathfinder universe. They use these Iconics in all the illustrations in the rulebooks and in the card game and they all look really cool, especially Seelah the Paladin. Here she is standing off against a giant worm of some kind. There are 30 years between these illustrations, but the old black & white better captures the feel of a holy avenger battling against insurmountable odds. Posted in Blog Posts and tagged D&D, Pathfinder on January 22, 2014 by Tim. I started playing D&D back in the mists of time with the boxed basic set in 1978. I remember my friend DMing an adventure where my first level character faced a 15th level purple worm in the second room. I still have (most of) that set, along with the three Advanced D&D rulebooks that came shortly after. 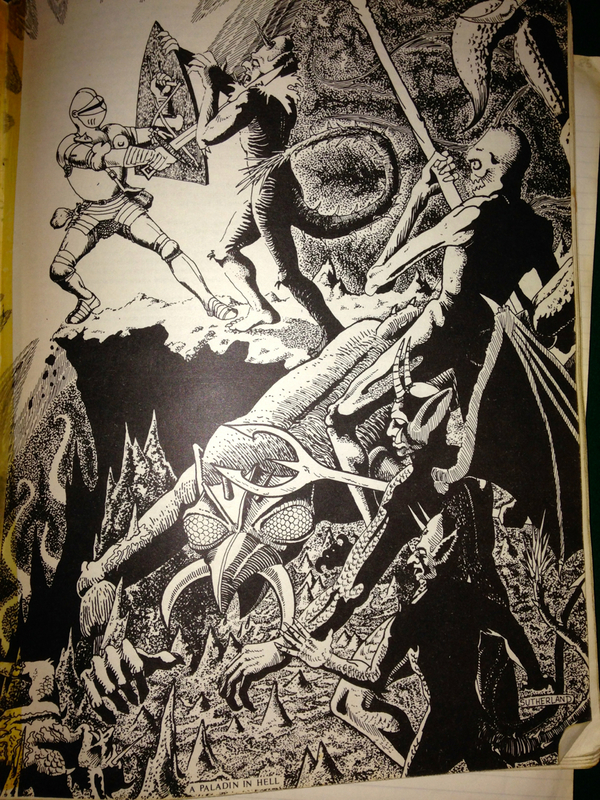 I played AD&D from 1978 through to 1987, interspersed with other rpgs. boardgamegeek The best site for boardgames. Fantasy Flight I have a lot of their games.